I recently had the distinct privilege to brew one of my homebrew recipes at the Wynkoop for this year's Great American Brewer's Festival (GABF) Pro-Am competition. The GABF is the world's largest beer festival and takes place every fall in Denver, CO - this year between September 24-26th. (http://www.greatamericanbeerfestival.com/) A couple of years ago the GABF added a new "Pro-Am" competition. This competition allows homebrewers to partner with a craft brewery to scale up one of their BJCP certified competition award-winning beers. Last year one of my German lagers won an award at the American Homebrewer's Association's (AHA) national competition. I had talked to the Wynkoop about partnering for the Pro-Am for several months, and we finally received the entry information from the Association of Brewers, applied, and got to work. In most cases the Pro-Am brewery simply brews the recipe for the competition, but the Wynkoop was nice enough to let me come in for the day and help. The beer we brewed was a Dunkles - a dark German lager. We used my recipe from the AHA National competition entry. The Pro-Am rules allow for reasonable recipe modifications to accommodate the brewery's limitations, raw materials, processes, etc. 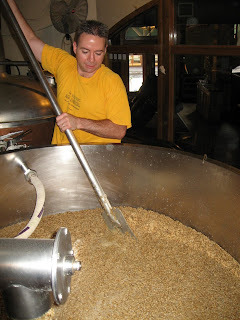 A couple of months ago I provided Wynkoop head brewer Andy Brown with my recipe sheet and brewing notes to review. A week before brew day we met to discuss the details of the process, and to make modifications. 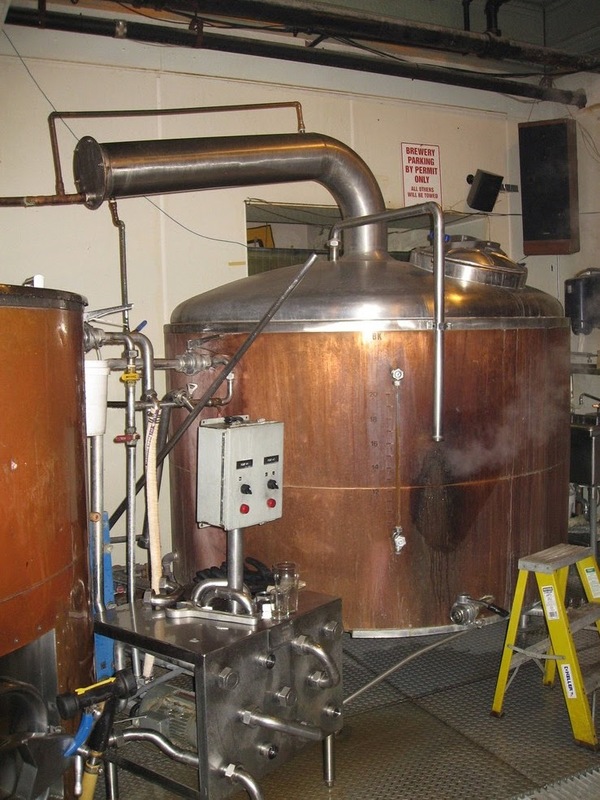 For example, my homebrew was decoction mashed and the Wynkoop is not able to perform this type of mash regiment, so we needed to modify the mash schedule to approximate the original. We also needed to scale the recipe up, recalculate hop quantities given the alpha acid content of the Wynkoop hops, scale the amount of water treating salts that needed to be added, etc. 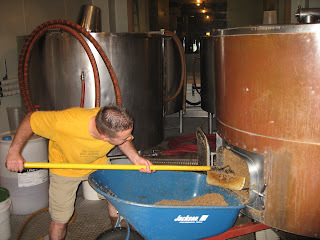 Andy had to order some additional malts for the brew, and we were pretty much set. It was quite an experience getting to sit down with Andy, and award winning brewer, to (re)design this beer for a commercial system. The brew day itself was very educational. The Wynkoop has a 20 barrel system. So instead of brewing six gallons like I do at home, we brewed 620 gallons - basically 100 times bigger! 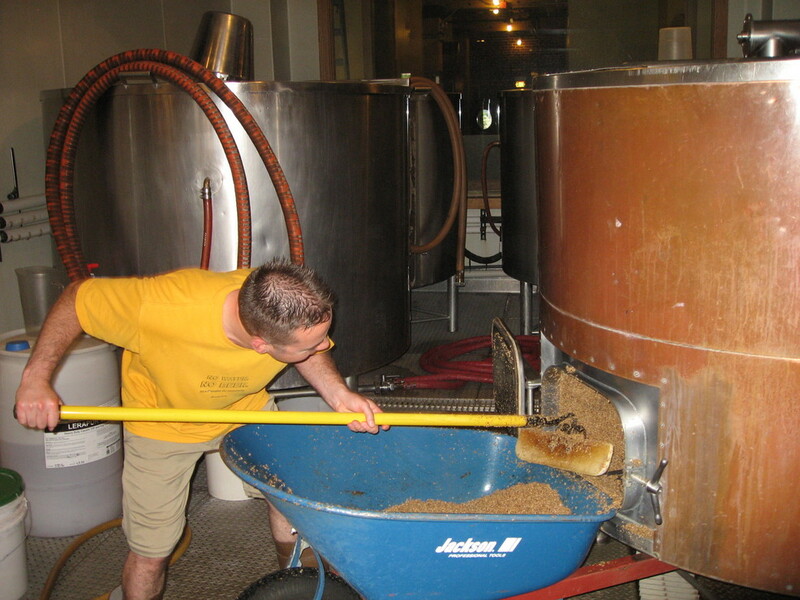 Many aspects of the process were not too different than homebrewing. Making beer is still making beer. But the scale and the equipment was all new to me. 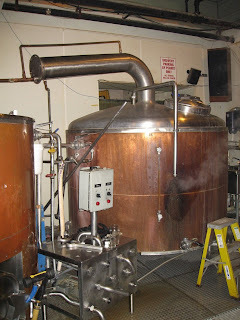 It was great learning the process on a large scale - things like using pumps to move liquid around instead of siphons, stirring 600 gallons of mash, cleaning 20 barrel vessels, shoveling and hauling spent grains (to a trailer out back for a local farmer), and doing everything in a steamy hot 90 degree brew house. What a truly unique experience! As I type the primary fermentation has been completed, and the beer is aging (lagering) in the cellar below the brew house. We have plenty of time to let this one mature to perfection before the GABF in late September. The beer will be on tap at the Wynkoop and you can also sample it if you attend the GABF in the Pro-Am section. I can't wait to see how it turns out and see how it compares to my original. Hopefully it is ever better! I want to extend a big thanks to the Wynkoop and to Andy Brown for giving me the opportunity to do the GABF Pro-Am with them, and for allowing me to help brew it. 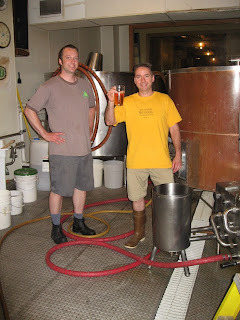 It was a terrific experience working with Andy to brew the Dunkles in the brewery that has been my home pub since 1991. Thanks guys!